Japanese automaker Nissan’s twin brands strategy in India, where it sells cars under the Nissan and Datsun brands, is struggling to grow. The combined volume of the two brands dropped by 8 per cent in FY18, when the market clocked an 8 per cent growth. In its attempt to establish and grow, the flagship brand Nissan appears to have been clearly left behind. The last volume product under Nissan brand, the Terrano, was launched in 2013. Both Nissan and Datsun saw sales decline during FY18. The Datsun brand, which has been the focus of the carmaker in the past four years, now brings three-fourth of local sales and Nissan has a monthly volume of around 1,000 units. Together, the two brands clocked a local volume of 52,796 units, giving the firm a market share of 1.6 per cent and a ninth position in India. Jerome Saigot, managing director, Nissan Motor India, said the Datsun brand was unveiled in India five years ago and actual sales started a little over four years ago. “In this industry, a four-year old brand is nothing. The journey since inception is already a big achievement. 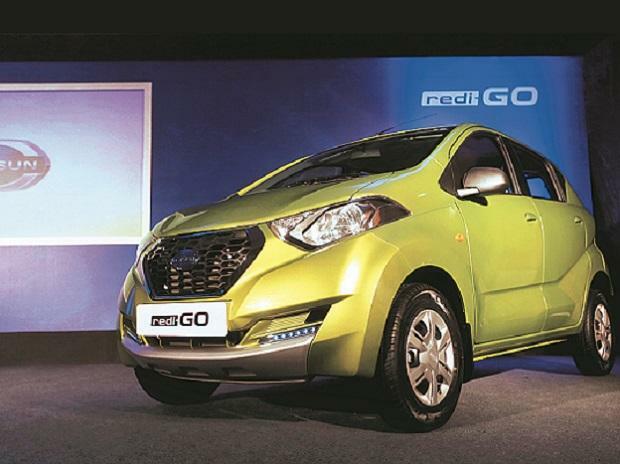 We have launched three products,” said Saigot, counting names of Datsun cars such as the GO, GO+ and redi-GO. “We are not competing against competitors who have been here for 20-30 years. We need to do things differently. If we follow what others did in last 30 years, it will take us as many years to reach that level,” Saigot told Business Standard. Saigot, who has now spent little over four years in India, said he was surprised to find that Indian car buyers had almost no choice below the sub Rs 300,000. Irrespective of falling sales, he said pricing of Datsun cars and the low ownership cost would help it grow. “With Datsun, we want to have a challenger position. Where will you get a Japanese car with such low ownership costs,” Saigot asked. Is the Nissan brand ignored? No, said Saigot. “We have plans on the Nissan front. It is true that as of today the product line up is a bit old. In few months you will see a new Nissan car on roads.” The Kicks SUV, due for an India launch later this year, will be the first Nissan product after five years. Saigot said the firm now had a plan and product line-up to support the two brands. Before the Kicks, a new product is also planned under the Datsun brand. “We will have to establish both the brands, which is a challenge and an opportunity,” said Saigot. Nissan had earlier talked about a 5 per cent market share by 2020. A calculation shows the company will need to sell around 200,000 cars in India to reach there. “I can tell you that we will go much above the 2 per cent. We have a much higher ambition. It will take a bit more time than expected,” he added.